A key focus of Champ is to continue the work conducted under the EPSRC Centre for Innovative Manufacturing in Photonics on reducing contamination and impurities in Chalcogenide glass. A long-term focus on purifying raw materials and optimising the manufacturing process has led to a signficant reduction in oxide and water impurities. 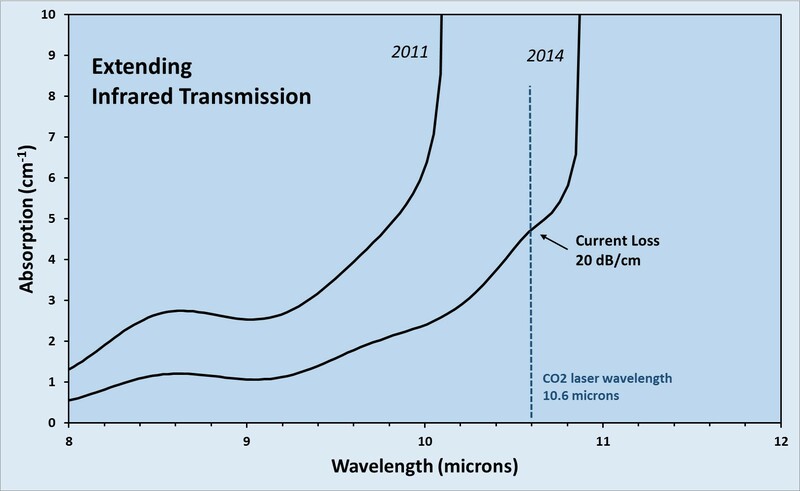 This has yielded a 100x fold reduction in transmission loss at 5um and a signficant extension of the operating band edge to >10.5um, as shown, removing the path to applying chalcogenides in many applications. 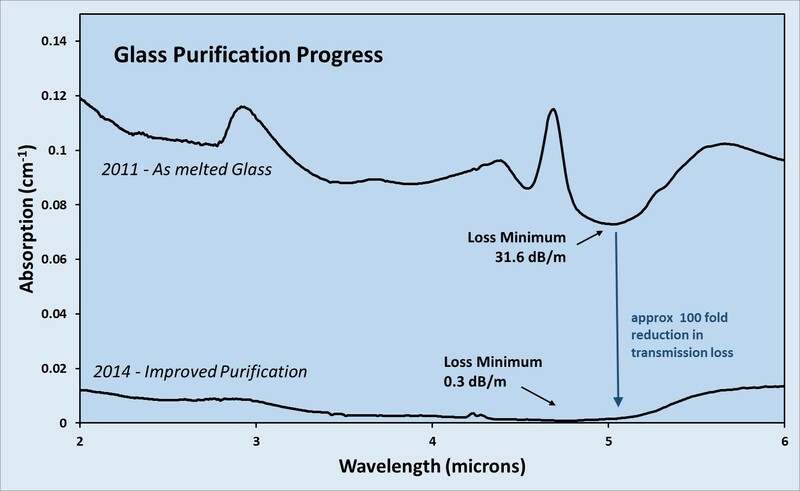 Note there is no offset applied in these loss figures– the curve shown are a true reflection of the glass loss and the improvements made.